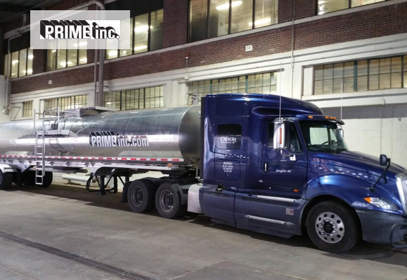 Prime Inc. was founded in 1970 by Robert Low with one dump truck and has grown into the most successful trucking company in North America with its headquarters in Springfield, MO. We haul refrigerated, flatbed, tanker, and intermodal freight across the country and into Canada. We have over 8500 professional truck drivers across the United States. Our policy is as follows: do your best, do what’s right, and treat others the way you want to be treated. If you’re looking for a place where hard work is rewarded, consider joining us at Prime Inc.
PRIME associates are rewarded systematically and consistently for their exceptional attitudes, their uncompromising work ethic, and their ability to continue to ensure the safest, most reliable pick up and delivery of products throughout the United States, Mexico and Canada. Prime’s PSD begins with you obtaining your CDL permit. Then you’ll go on the road with a certified CDL instructor for one-on-one behind-the-wheel training. After training, you’ll return to Prime’s corporate headquarters in Springfield, Missouri, for final CDL state testing and your Class A CDL. Then, you will be hired on as a company employee with guaranteed pay! With Prime Inc.'s paid truck driving school, you can start on the road to success with no prior driving experience! And furthermore, you're learning from the best in the business, Prime Certified CDL Instructors! Obtain your CDL learner's permit on-site. Once you graduate from Prime's student driver program and obtain your Commercial Driver's License (CDL), you will then be scheduled for Prime's new-hire orientation. At this point, you will be considered a "B" seat driver and credited 10,000 miles towards your training mileage requirements. * = if available to work 7 days a week. Once you reach this point, you will be eligible to run your own company assigned truck or you may elect to lease a truck from the lease company and run it in the Prime network as an Independent Contractor in Reefer, Tanker, or Flatbed. Note: If you have driving experience, you may transition into our career path with less training needed. This is specified by our safety department; please ask a recruiter where you qualify.